The demand for the reputation management services is improving day by day. It is very true that in the age of digital era publishing the bad news are more and it is quite easy to manage also. All the established companies spend the huge bulk of the money for handling their good reputation in the market and among their customers. Many companies also face the reputation damages scenario; it is assumed that reputation can be damaged by poor comments. Poor reviews, deliberate attack and even due to mistaken identity. 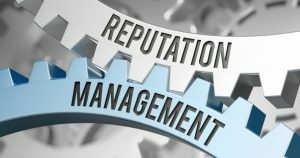 In those circumstances hiring the best professional reputation management services becomes necessary to step for the company. When the entire business sector is well focusing towards the online services then having a good reputation becomes significant aspects of it. It is vital to have good or neutral news about the company, products, and services in the market. Many companies well invest in appointing the best professional ORM services that concentrate on SEO ranking and online reputation building. In the earlier days, reputation was usually spread with words of mouth or other media sources like TV, radio, and newspapers. At present, it is the era of the full automatic digital scenario where the advent of internet services becomes the vital choice for the customer to get all sort of information effectively. In a simple term to understand what is basically online reputation management (ORM) is the best practice of implementing well planned and responsive online strategies that are well capable of influencing the whole public perception of an individual or any organization. All these are well-developed services offered by the professionally established reputation management agency many customers think that whether they should hire or not the services of ORM. 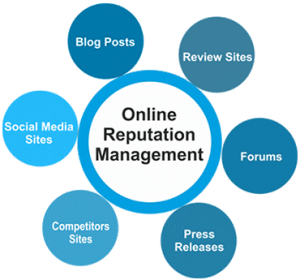 In actual speaking, it is good to hire the professional services of ORM because it helps the individual as well the company from the online attacks. It just takes words of an individual to break or make the reputation of any company. Appointing the online reputation management services allows people to be prepared to complete strategize steps for protecting themselves or company from any potential negative situations. It is best tool for the managing all present trendy business modern needs and can also able to improve online presence.